Joe English brings over thirty years of accounting experience to the firm as a certified public accountant, a registered investment advisor, and personal financial specialist. 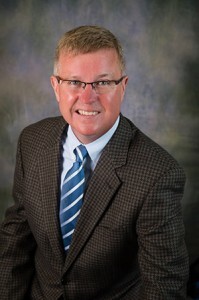 Joe began his accounting career with the firm in 1988 and became a partner in 1998. Joe’s focus is on financial statements, audits, reviews, compilations, and tax planning and compliance for individuals and businesses. Joe earned a Bachelor of Science in Accounting from Wheeling Jesuit University in Wheeling, West Virginia. His clients include government contractors, construction contractors, software developers, medical professionals, manufacturers, auto service & repair shops, craft breweries, private schools, and youth associations. Joe is actively involved in supporting the activities of his three children. He has served as a league director, a state licensed coach, and as a USSF referee.